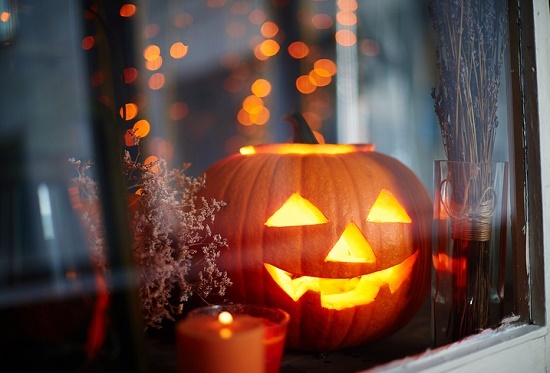 Halloween Hearing: What Makes Certain Sounds Scary? What do the greatest horror movies all have in common? They all have unforgettable soundtracks that bring about an immediate sense of terror. Indeed, if you watch the films without any sound, they become a lot less frightening. But what is it regarding the music that makes it frightening? More specifically, if sounds are simply vibrations in the air, what is it about our biology that causes us to respond with fear? In terms of evolutionary biology, there’s an evident survival advantage to the instantaneous detection of a harmful circumstance. Thinking takes time, particularly when you’re staring a ravenous lion in the face. When every second counts, you don’t have the time to stop and process the information deliberately. Considering that it takes a bit longer to process and ponder visual information, the animal brain is wired to respond to quicker sound-processing mechanisms—a trait that provides survival advantage and has been selected for in the wild. And that’s precisely what we find in nature: numerous vertebrates—humans included—emit and respond to harsh, nonlinear sounds and vocalizations when frightened. This yields a nearly instantaneous sensation of fear or anxiety. But what is it about nonlinear sound that makes it frightening? When an animal screams, it generates a scratchy, irregular sound that extends the capacity of the vocal cords past their normal range. Our brains have evolved to detect the characteristics of nonlinear sound as abnormal and indicative of dangerous situations. The fascinating thing is, we can artificially reproduce a variety of these nonlinear sounds to get the same instant fear response in humans. And so, what was once an effective biological adaptation in the wild has now been co-opted by the movie industry to produce scarier movies. We all know the shower scene from the classic film Psycho, and it’s definitely one of the most terrifying scenes in the history of film. But if you watch the scene without sound, it loses most of its affect. It’s only once you add back in the high-pitched screaming and bone-chilling staccato music that the fear response becomes thoroughly engaged. To demonstrate our instinctive aversion to this nonlinear sound, UCLA evolutionary biologist Daniel Blumstein conducted a study assessing the emotional reactions to two types of music. Study participants listened to a collection of emotionally neutral scores and scores that incorporated nonlinear properties. As expected, the music with nonlinear elements elicited the strongest emotional reactions and negative feelings. This response is simply an element of our anatomy and physiology. Regardless of whether Hollywood comprehends this physiology or not, it knows instinctively that the use of nonlinear disharmonious sound is still the most effective way to get a rise out of the viewers. Want to observe the fear response in action?